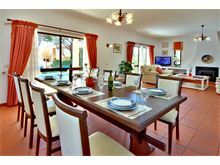 Casa Croeso is very popular due to its size and location in a sought after residential area of Vilamoura and close to Casa Terra Nova. 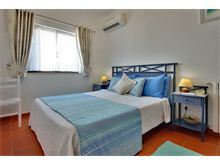 Its 5 en-suite bedrooms offer comfort and privacy for larger parties coupled with its modern facilities which include air-conditioning throughout. The light and airy open plan lounge and dining area offer direct access to the small but pretty garden with covered pool terrace and barbecue. 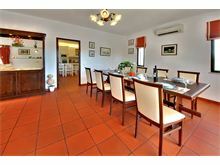 The house is a few hundred metres from a local restaurant and café and The Old Village about 15 minutes away on foot. The vibrant town centre and marina is a few minutes drive or taxi ride away, but can also be reached on foot in about 25 minutes. 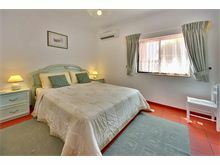 Approximately 4 kms from the beach and 1 km from the shops. 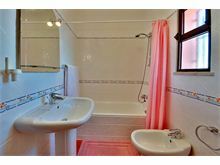 Ground floor: Entrance hall leading to 1 twin bedroom with full bathroom en suite, 1 double bedroom with full bathroom en suite, guest cloakroom, modern kitchen with white fittings and pink granite worktops, dishwasher and microwave, lounge with wood burning stove, TV with DVD and VCR. Steps lead down to a cellar with washing machine. First Floor: Balcony off hall, 1 twin bedroom with full bathroom en suite, 2 double bedrooms, each with its own en suite bathroom. Maid service 3 times per week. 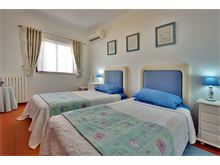 WiFi, air conditioning and pool heating are available at extra cost, if required. From booking the villa to arrival our needs were met expertly by the Affinity team. Villa Croeso is in a part of Vilamoura we have visited before and one of the attractions is the 'Old Village' where there are a number of good quality restaurants and shops. 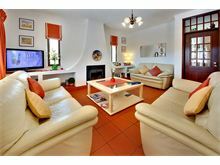 The villa had everything we wanted with ample space for our party and excellent furnishings and fittings. Whilst the garden was not large it was big enough to have a good sized pool that we all enjoyed. We would consider going again. Villa as described. Pool fantastic. The villa was very comfortable, glad we paid for wifi and especially air conditioning as it was boiling. Overall we had a great holiday and were pleased with the villa. 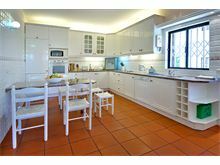 The Villa is in a wonderful location in nice grounds. Very spacious. Pool area good. Just returned from a week's holiday with my family at Casa Croeso, the villa was lovely and the pool fantastic, the children loved it. The marina at Vilamoura is well worth a visit, with excellent restaurants and a great place to walk around in the evenings. The beaches around Vilamoura are beautiful and clean also well worth a visit. I will most definitely return to the Algarve. 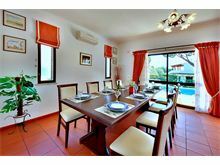 A lovely villa excellent accommodation for a large group, lovely pool. This was our first villa holiday and I have to say we were very impressed!! 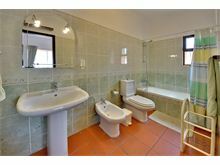 The villa was excellent and all the rooms were as described. 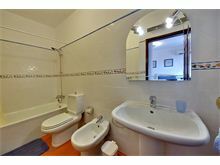 It was very clean and the maid service was very appreciated. The swimming pool was a great size which the kids loved! 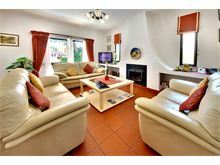 It was situated in an ideal place between 2 of the golf courses and was only a 5 minutes taxi ride down to the marina. 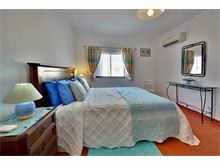 We will definitely use Affinity Villas again for any villa holidays! We had a fabulous stay at Villa Croeso, brilliant location, nice pool, lots of room for our party of 9, very clean and regular maid service. Local shops and restaurants all in walking distance and the house manager out there was fab as well. Brilliant - second time we have used Affinity Villas and think the overall experience is great - thank you will definitely book again. 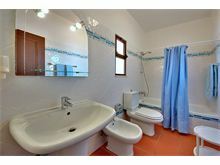 Fabulous location, beautiful villa, great holiday. Stayed at Casa Croeso in Vilamoura for the second time but this time with the whole family (nine in total). 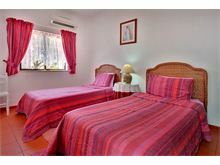 Excellent air-conditioned accommodation in a very nice quiet location that provided everybody with a bedroom and bathroom. All the adults and children thoroughly enjoyed their stay and were sorry to have to leave. The villa was just perfect for a multi generational family holiday. 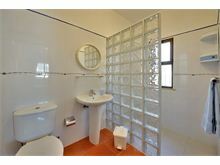 The ensuites with every room made all the difference. We paid a little extra for air conditioning and pool heating and this was money well spent. We all spent hours in the pool which is a good size for proper swimming as well as just splashing about. The kitchen is very well equipped. 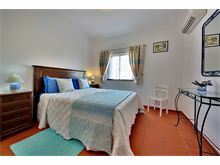 We had a great holiday and would recommend Affinity Villas and this particular villa.